The baby-grow you brought them home in, a first summer dress, the dungarees from their first birthday, bibs from Christmas, that cute t-shirt bought by Grandpa…..
Holding on to all those extra special baby clothes? Love the idea of creating your own keepsake memory quilt rather than having it made? Enjoy crafting and sewing but not sure where to start or worried about getting it right? Our Baby Clothes Memory Quilt Tutorial is so much more than a pattern. We’ll walk you step by step through every stage of designing, making and finishing your memory quilt. Go with confidence from a bag of clothes too precious to give away to a snuggly quilt full of memories – with love in every stitch. “Beforehand I was nervous about making the quilt (mainly about messing it up!) The tutorial package really helped me to overcome (my) concerns, as it was explained so clearly that I felt I could follow it through, baby step by baby step, without any guesswork. The instructions are very easy to follow and I don’t remember having to ask for any clarifications at all. there is very little technical terminology or jargon so they’re very easy to understand. You might be a novice with a sewing machine and don’t know where to start, or more experienced but concerned about exactly how to work with clothing to make a quilt. Or maybe you’re more experienced but unsure about patchwork or how to work with clothing. 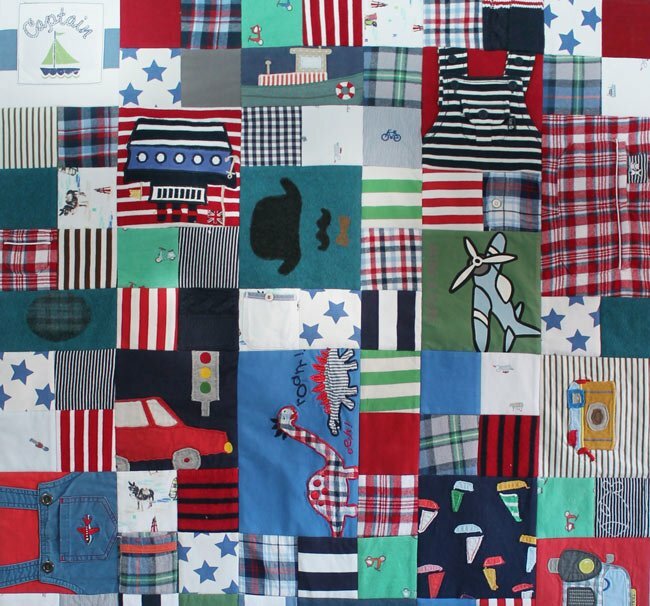 If you can find your way around a sewing machine and sew a decent straight seam, then you can make a memory patchwork quilt from your children’s or baby clothes. All the documents in the Baby Clothes Memory Quilt Tutorial are electronic downloads. When you place an order you will immediately receive a link by email to download your workbook and design layouts. All the files are pdfs so you can print sections, the whole thing or just use it on screen. Ask your questions, share your progress, and get ongoing support and advice from Patchwork Castle founder and keepsake quilting expert Chris Tingay, and other keepsake quilters as you make your quilt. At Patchwork Castle we’ve developed our expertise at transforming pre-loved clothing into beautiful keepsake memory quilts and cushions. We’ve gathered together all our specialist knowledge and techniques into this easy to use resource – no need to trawl the internet for snippets of advice. You have (or are willing to purchase) the core equipment and materials to make your quilt. If you don’t already have the tools needed then it can be a bit of an investment. We will cover the best fabrics/haberdashery and equipment to use in some detail. Have a good read of the workbook before you rush out to buy anything! All items are widely available, and we can recommend suppliers. A selection of baby and children’s clothing. You can add in some plain or patterned new fabric if you don’t have quite enough (recommended amounts Cot – 20-25 items, Cot Bed 25-30 items). A rotary cutter, acrylic ruler, and a self-healing mat (highly recommended and the method described for cutting patchwork pieces in the workbook). If you have lots of experience with patchwork and quilting, you’ll already be familiar with the basic techniques we cover. What this Tutorial will give you are the specifics of working with baby and children’s clothes. If you have lots of unfinished projects and aren’t sure you can make the time for this then you might be better just ordering a quilt from us! 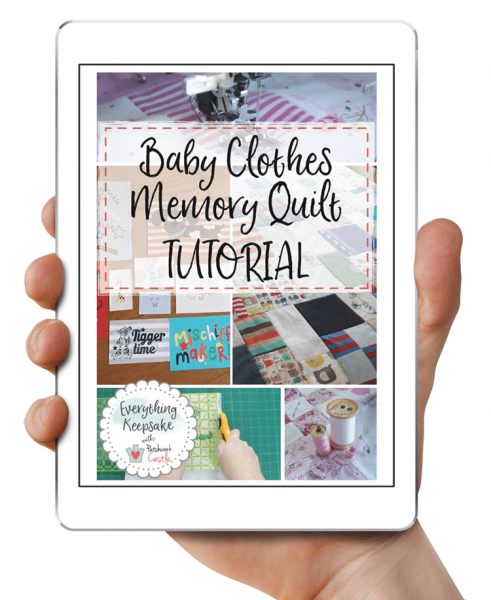 When you purchase your Baby Clothes Memory Quilt Tutorial you will immediately receive a link by email to download your workbook and design layouts. You’ll also get instructions for joining the Facebook group. The Baby Clothes Memory Quilt Tutorial is self-paced so you can make your memory quilt over a few days, or several weeks or months (and save it for any future quilts). We don’t think you’ll need it but…. 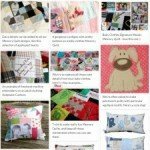 Purchase your Baby Clothes Memory Quilt Tutorial, take a look at the materials and find it’s not what you expected or you’ve bitten off more than you can chew? Then just email us for a full refund within 30 days of purchase. Run out of steam? If you’ve followed the Tutorial instructions then we can finish your quilt for you. 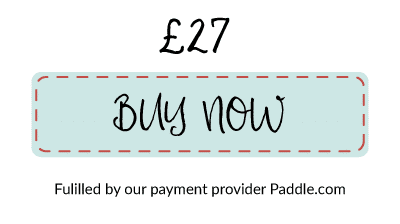 We will discount the amount you paid for your Tutorial from our ‘made for you’ prices. 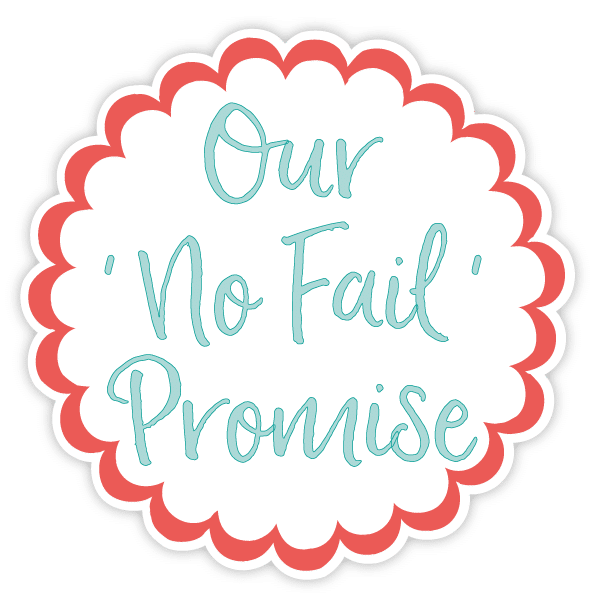 (If you’ve made a lot of progress, or purchased some fabric/haberdashery already, we can quote you for a price to complete the work; If you’ve made a bit of a ‘boo boo’ then we can quote you to fix that too!). Still not sure? Here’s that sample again.